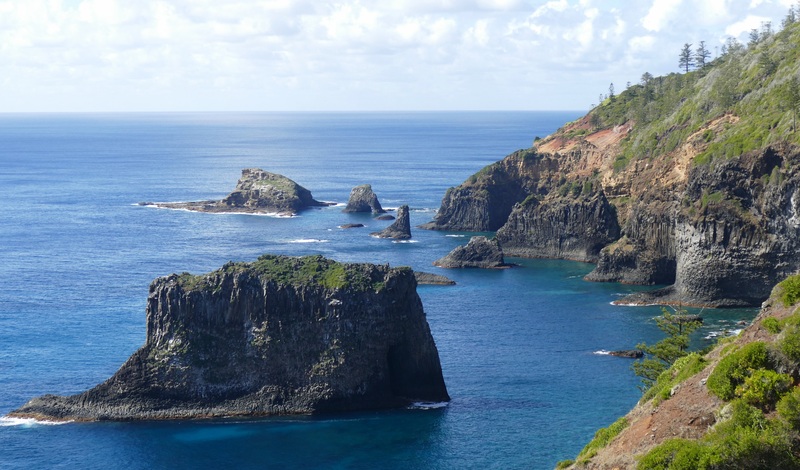 A long weekend on Norfolk Island offers an island getaway from hectic life to a less complicated and extremely beautiful Norfolk Island holiday. Rugged cliffs and rolling green hills studded with trademark Norfolk pine trees are the first sign that the Air New Zealand flight is about to land on the eight by five-kilometre speck in the South Pacific Ocean for your Norfolk Island getaway. There are a few things you need to know about a holiday on Norfolk Island straight up. This international destination still part of Australia. It is an island where cows have the right of way and where a friendly wave to everyone you pass is mandatory. It's also a place where people are better known by their nicknames and crime is scarce. Although the island is popular with older travellers, there is much for active visitors to enjoy. The overriding serenity, golden beaches, Norfolk Island weather and scenic landscape are a perfect antidote to the stresses of mainland life. The friendly folk at Norfolk Island Tourism is where you can book accommodation, plus they have lots of things to do in Norfolk for a long weekend.